On the 2nd of September I shot a wedding I’d been looking forward to for a good while. Sam got ready at The Archer pub in Wolstanton and Alicia at home in Biddulph. They then tied the knot at Swan Bank Church in Tunstall before going on to Brown Edge Village Hall for their reception to complete their Staffordshire Moorlands Wedding. I love a good village hall wedding, they are just such a great blank canvas for any wedding. I’d been looking forward to this wedding because I originally met Alicia at another wedding where she was a Bridesmaid about 2 years ago. At that wedding we built a great friendship and her parents, who were there also as guests said that when Alicia got married they’d definitely be giving me a call. Well I’m sure Alicia wouldn’t mind me saying that she was actually single at the time and still a young 20 year old woman so who knew how long it was going to be? I was then surprised that within a year I had a message from Alicia asking if me, her and her FIANCE could meet for coffee! After meeting them both I soon realised why this had come about so quickly, they were very much in love and their personalities complimented each other so well. So that was that and I was booked just like her parents had said! The weather for Alicia and Sam’s wedding can only be described as body melting. We were definitely in one of the hottest days of the year and with heat comes harsh over powering sunlight which is just another challenge for the day. Often people think that a clear blue sky is the best weather for a wedding when in fact it’s not. 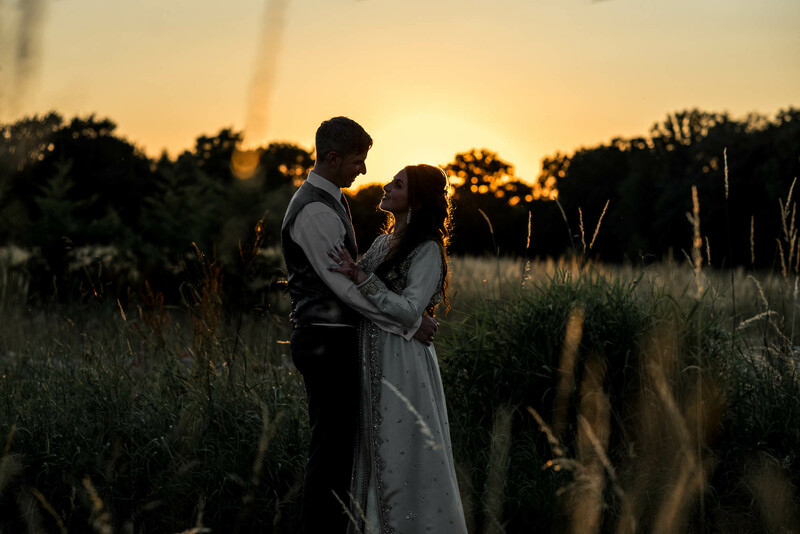 partial clouds create spectacular depth and soft light for your couples faces. The groom preparation brought about a first for me, photographing in a classic English pub. All the groomsmen got ready upstairs where I shot the group photographs on a beautiful old brown rustic chesterfield sofa, we then headed downstairs where I took a few more shots inside and out before heading for the local green to do some more photographs. I could of stayed with the Groomsmen for much longer but it was time to move on! This was my 4th time shooting at Swan Bank church for the service and it was delightful as ever. A packed out church made every background of my shots full of atmosphere rather than empty chairs. After the service we moved out on to the front for a big group photo and the family shots. Whilst out there we also took the opportunity to do the confetti shot, I’d mentioned at our last meeting how awesome confetti cannons are and how we used them at my last wedding to great effect. Alicia and Sam couldn’t find the exact ones but brought some substitutes which were a little more on the wild side launching thousands of sparkly bits into their hair and clothes. It was to the point where you couldn’t get it out so I had an awesome sparkly couple who took it all in the stride with little stress. I stress this a lot to my couples that although you get yourself looking a million dollars in the morning then not to be stressed out when your dress, suit, hair, tie get’s a little bit dishevelled. I’ll do my best to help and even repair things at times but 9 times out of 10 you’ve just got to role with it. The Reception was at the quaint Brown Edge Village Hall. We planned to go to Knypersly Reservoir to do the couple shots after the church. When we got there we did a few shots and then I made the call to cut it early and stop at two locations on the way back to get some more. We did really well and managed to get an awesome mixture of photographs. Brown Edge Village Hall is a really understated venue, it does suffer from not having a rolling country garden like these big manor houses or barns but that just makes you use your imagination that little bit more to achieve some great shots. I had a great time at Alicia and Sam’s wedding and really didn’t want it to end. I’m a Stoke-on-Trent wedding photographer who often ventures further afield including Staffordshire, Derbyshire, Cheshire, Shropshire and the rest of the UK. If you are interested in having me photograph your Staffordshire Moorlands wedding, head over to my contact page to drop me an email about your up and coming wedding.